5 Wonderful Reasons to Visit Singapore : Singapore is a remarkable country despite its small size on the globe. There are many fascinating reasons why you should grab a chance to book a flight to Singapore. Though little on geographical size, you will get to explore and appreciate local food stops, boutique shops, eccentric gift ideas and interesting historical background of this impressive country. It is one of the most developed cities in the world as well, meaning you will love its skyscrapers and nightlife as well. The locals of Singapore love their food so much they wanted to present them to foreign guests coming from all over the world. There will always be a new restaurant to try or brand new hawker stall to visit. Feast your heart out on authentic local menus, or surprise yourself for local flavors while fine dining or simply snacking out at nearby stalls. Most importantly, you can eat some of the best foods in Singapore in ridiculously cheap prices. Singapore is a great place to enjoy many different cultures. You can enjoy festivities of various traditions such as Chinese New Year, the yearly bazaar at Geylang and Hari Raya Puasa, a Muslim religious holiday celebration after a month of fasting. A festival of lights called Deepavali is celebrated by Hindus during October so enjoy the festive mood while in Singapore. You will love exploring beautiful religious buildings such as mosques, temples and churches as well in Singapore. When planning to visit Singapore, plan your trip schedule for mid-year so you can marvel on the island-wide Great Singapore Sale. Singaporeans love to shop and surely, foreign visitors as well. Grab some items at unbelievably slashed down prices. Visit the racks at the most recent Dover Street Market within COMO Dempsey for the latest in designs. Shop till you drop at Orchard Road where you can savor the massive outlets of Sephora and Uniqlo. At Bugis Street, you can have a shopping galore with very affordable items or discover the extraordinary boutique stores of Haji Lane. When you go to Singapore, you will get the opportunity to discover the best art collection of the country inside museums. You will be amazed at the exhibit showcasing the historical artifacts of Singapore at the National Museum. Experience a drop-jaw expression once you examine the items featured on the exhibit. The Mint Museum offers a unique experience as your kids learn about Singapore’s fine artistry. There are numerous luxury travel packages offering transport, travel tours and accommodation depending on your budget. Rest assured, you will realize it’s all your money’s worth as you will be impressed with their transport system. Take part in an Art in Transit tour for an extraordinary look at Singapore’s Mass Rapid Transit. Singapore has developing train lines to make it easy for commuters to travel around the country. 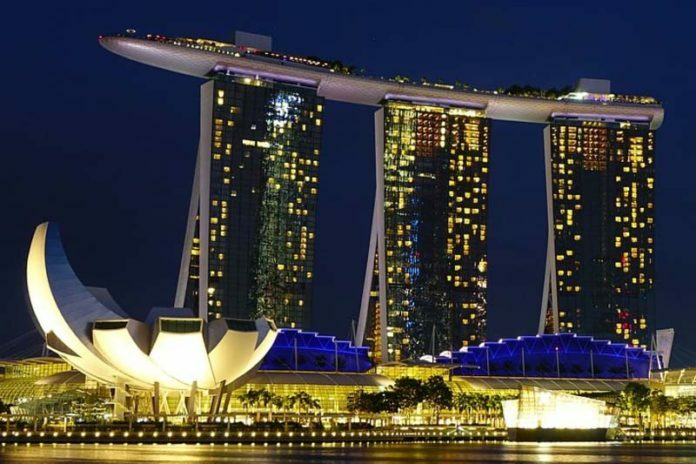 You can also opt to travel elsewhere as Singapore is an entryway to other Southeast Asia destinations through a cruise at Singapore Cruise Centre or even at Marina Bay Cruise Centre. After your tour, enjoy your night in a luxurious hotel room or boutique hotels offering bed and breakfast. What’s amazing is you get to meet new people with backpacker hostels scattered all over the island. Most importantly, you will love every bit of its nightlife. Experiencing the best of Singapore takes time. So, if you can to spend few months in this modern city, you can. How? Isn’t it too expensive? Yes, but you can earn good money being an English Tutor (sign up here). Yes, there are wonderful opportunities for native English speakers to teach English and earn their living in Singapore.